Days after Indian troops carried out special strikes targeting Pakistani terrorists across LoC, Prime Minister Narendra Modi has underlined that India has never coveted any territory or attacked another country though it made sacrifices for the freedom of others. “…It is neither hungry for land. 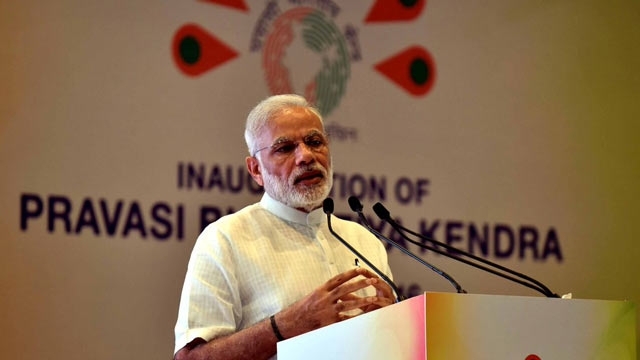 But in the two World Wars (in which India had no direct stake), 1.5 lakh Indian soldiers had laid down their lives,” Modi said after inaugurating the Pravasi Bharatiya Kendra, a majestic complex dedicated to nearly 27 million Indians living abroad. “In the last two years, you have seen how the government rescued people from conflict situations, not just Indians but foreigners too,” Mr Modi said while alluding to his government’s rescue missions in conflict zones, including Libya, Iraq, Yemen and Ukraine. All rights reserved except for book/publication extracts.